We know that every day is special. That’s why we have a special treat for every single day! Book early as space fills up quickly. We are now offering direct billing for massage. Book today with our registered therapist! 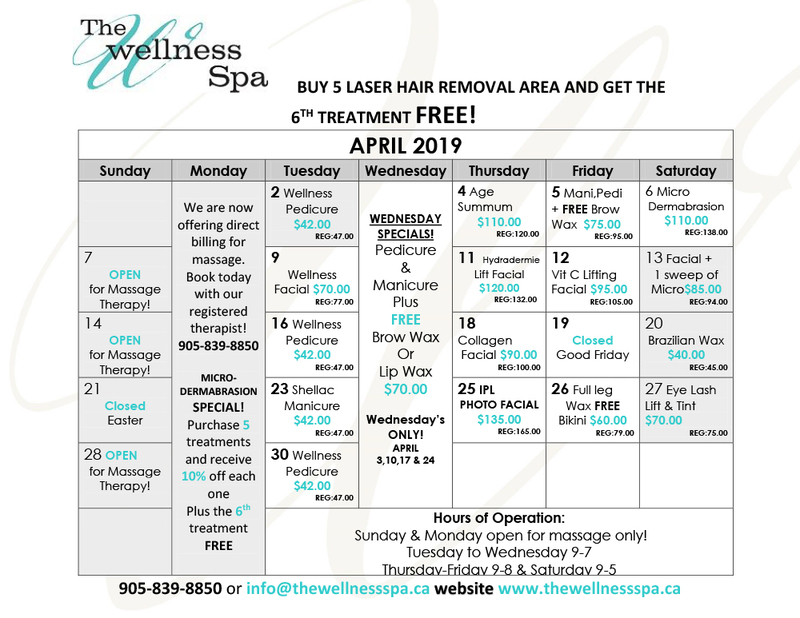 April - Laser Hair Removal Special! Purchase 5 Laser Hair Removal Treatments and receive the 6th Treatment FREE.